Pricing depends on the number of assets that you want to track. Pros: I use Map your Tag daily. It's a simple way to keep track of inventory in the field. I can log on and simply and see where anything is in a moments notice. The employees simply scan in, and I have access to their location. Cons: We have been using Map your Tag for several years now and in all of that time, I haven't found anything that I can say is wrong with it. It's very simple for our employees in the field to use as well as myself and the management to view where the inventory is at a moments notice. Overall: The ability to simply log on and locate where our inventory is at a moments notice. Pros: Love, almost everything about the software from the tracking of the inventory, to the printable tags. It really is the perfect solution for us...almost! Cons: The mapping doesn't find a lot of the addresses we put in for our customers. We have to go with the "closest available address". I think a better map service would put you guys in the drivers seat. (see what I did there?) The only other change I would make would be when you have multiple units at the same location, they show up on top of each other so you can't tell how many are at that location. Maybe have some way of better showing that there are say 9 assets at one location. Pros: Ease of use, the ability to add multiple users with ease, accurate asset management, and cost effective. Cons: The only con I see is the previously mentioned ability to have an at a glance option to see what assets are in the system, but fail to have a tag appropriately assigned to it. Overall: The only suggestion I would have is a way to see at a glance which assets do not have tags assigned to them. Taking the program over from another partner, I've had to stumble across the assets myself to discover which ones did not have a tag appropriately assigned to them during the creation phase. Not a huge deal, it would just be helpful. Recommendations to other buyers: No, I believe it is a very helpful program. Thank you for developing it! Pros: Asset map, easy of use after setup, multiple users on one platform. Works well with our existing phones. Cons: Setup is difficult to figure out. Insuring each asset is assigned a tag can be challenging for a not computer skilled person. Overall: Tracks our assets for a very reasonable cost. Cons: Lack of API's and reporting functionality leaves a lot to be desired. Overall: We use Map Your Tag somewhat unconventionally as a sample tracking solution as a fashion business. The team there consistently goes above and beyond to ensure this mission-critical solution stays running all the time. The functionality could be improved but its good at what it does and bear in mind we use it for a slightly different reason for most. Overall great product. Recommendations to other buyers: If you're looking for something cheap and easy to implement go for MYT. Pros: 10-free version enables you to evaluate, present and fine tune existing asset tracking process before licensing decision. 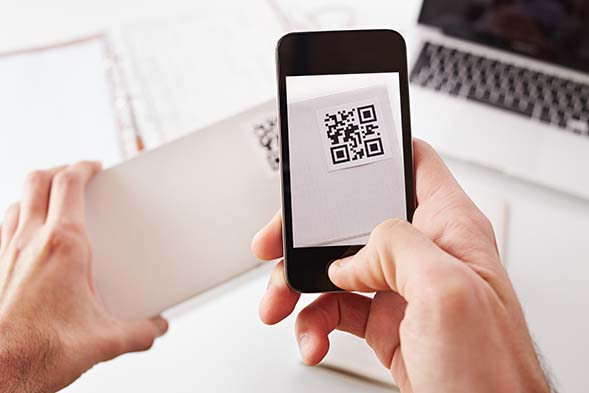 System generated QR codes with today commonly available smart mobile phones/tablets proves to be an cost-effective solution where ROI can be realized nearly instantly. Overall: An Effective tool to migrate from Excel based tracking process to Anywhere/Anytime via scanning feature of common tool, Smart Mobile devices. The 10-asset free version enables us to present and convince the concept to the Management. 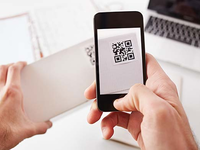 It also enables us to walk through with the Business users on workflow, from creation of asset record to update and export, from managing the QR codes to printing and tagging on asset. Pros: Helps us keep track of equipment so nothing gets lost. Overall: We have had a good experience using this application for tracking our equipment. Our survey assistants and party chiefs use a variety of equipment on a daily basis and this software helps us keep track of where what piece of equipment is at any given time. It also helps us keep track of equipment transferred to different divisions within our company. We have also had a great experience with customer service when we have had any questions concerning the product. Pros: Very easy to use and set up. Very customizable. Excellent email support. Very cost effective. Cons: Printing the QR code labels is a little tricky with our thermal mylar label printer. We used a different printer software to print the labels. Overall: We use MapYourTag to manage our customer's loaner equipment which is checked in and out daily. Since using it the last 8 months we have had 100% accuracy of the inventory status and know exactly who and when an equipment has been loaned out and returned. It is an excellent tool and very simple to use and manage. Recommendations to other buyers: Very fast, dependable and accurate system. Overall: We use MapYourTag for 2 purposes: To keep track of the samples that our outside sales team bring to customers, and for our fixed asset inventory tracking. We simply enter each of these assets into the database, print out the unique QR code onto a label to affix to each item. Our sales team tags each label to "check in" or "check out" our samples, and we go through the office and tag our assets when doing a tech inventory. It couldn't be easier, and the Customer Support team is super fast in helping out when we run into a jam, or to request any small enhancement. Recommendations to other buyers: Make sure you define your need/process before setting up categories and actions. We track the date & time at which each asset is scanned, to calculate cycle time. Pros: Ease of use, easily customizable, data easy to download. Simple way to implement data collection, at low price. Cons: data downloaded (.csv file) must go through several transformations steps in order to calculate specific metrics. Overall: Data collection, reduced waste associated to managing information manually. Cons: Some challenges with functionality of the Apple application. Android application seems more stable, and web browser platform is very stable. Overall: We have been using MapYourTag for tracking of equipment, labour, written reports and photo documentation by our field staff on construction projects. 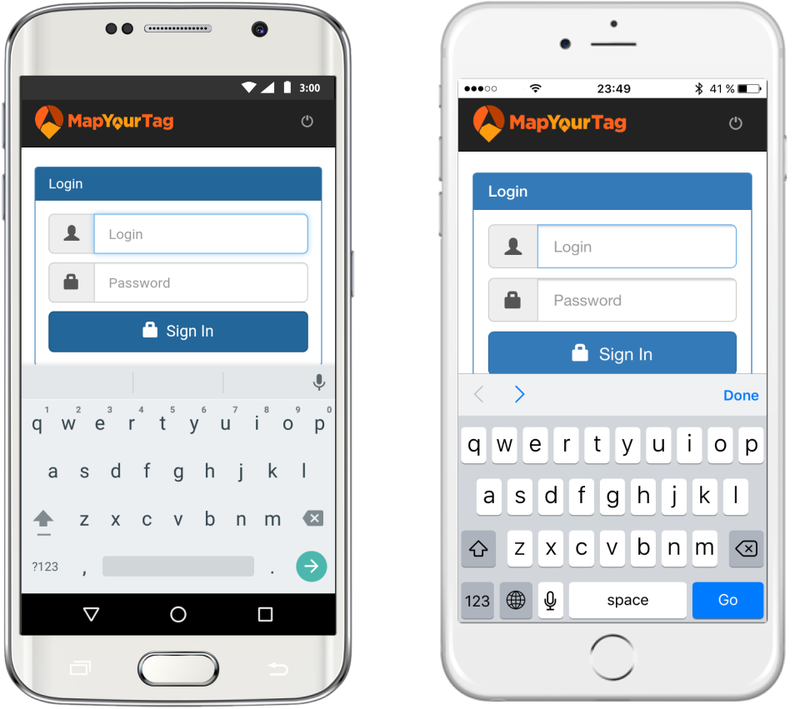 MapYourTag has been very helpful in expanding their application functionality to meet our requirements, and have been very timely in addressing issues we have been experiencing with the application. The application is well designed, and would be very useful in traditional asset management. I feel that many of our pains with the application stem from our requirements which exceed the functionality of the application as it is designed. Having said that, I am very happy with the help that has been provided by MapYourTag to overcome these challenges. Recommendations to other buyers: If your requirements fall within the functionality design of the application (as it is on app stores), I would recommend this application for your needs. 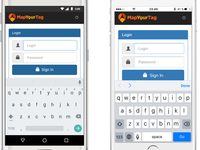 Understandably, trying to exceed the application's abilities may be challenging, but we have had success at working with MapYourTag to overcome these challenges. Thank you Olivier for your review. Pros: MapYourTag's iOS and Android App user interface is very easy to use and customize with the MapYourTag website. I can easily assign users roles and security level privileges and track their logins and activities with assets. Asset groups can be separated and moved for additional security. Workflows, events, and locations are updated quickly and emailed to any user registered on the system. Cons: Printing QRS code labels on our label printer takes a bit of time to set-up, but once the template is set, the QRS labels work easily and flawlessly with the MapYourTag App on our iphones, ipads, Android phones and tablets. Pros: The ease of use is what sold me on using it. I have three employees that need to enter info on a regular basis. They scan the QR code to me and I enter the data into Mapyourtag and job number and location are then plotted. NICE! Cons: Haven't seen anything yet that I don't like! Overall: I've been experimenting with mapyourtag for about 4 months and now I am completed sold on it! I does exactly what it is supposed to do and with the ease of scanning it make it work very well and is simple to use! Recommendations to other buyers: It would be nice if you could add rental pricing and a feature like rent on and rent off. You can customize the attributes to suit your need. You can add a drop-down list with Rent-on/Rent-off as a new field during the survey when you scan your asset. Please contact our support team: contact@mapyourtag.com for assistance. 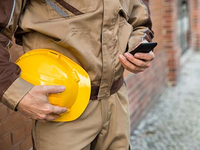 Pros: The software allows you not only to keep your contractors and employees accountable but allows you to use precise payroll figures. Cons: It would be great if there was a project management software integrated into it so it could be a business hi . Overall: Accountable staff and an easy process in ensuring all staff were safe and sound. Thank you for the 5 stars and you review. Pros: I really love this tool, it's very helpful for me to access my assets. Now I don't have to worry about where my assets are. I will use it every day because it's very easy to use. Thanks for created it. Cons: If you want to use it for the assets that placed outside then you need to find a different way to protect your tags from the weather conditions. Thank you for your helpful review about the MapYourTag asset tracking app. Comments: MapYourTag has proven to be a very, very valuable tool for our small company. We are using it to geotrack the movement of the Samples that our sales team transport from customer to customer. Since a mobile phone is the only tool needed, there was no need to purchase scanners, and the process is very easy for the field based team. Because of the flexibility to add fields to each asset, we have also incorporated our Fixed Asset management into MYT. All capital investments in our offices now have a QR code affixed, which we use to track the item type, purchase date, value and owner. Performing our annual inventory for tax and insurance purposes is now as easy as tagging each item and using the export functionality to create a spreadsheet itemizing all assets. Though MYT is a young tool, your company will be impressed by its breadth of possibility. Additionally, the support team is fast and effective. We are very pleased with our purchase, and have been excited by the enhancements that are continually made to the tool. 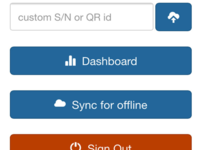 Pros: - Ease of use - Simple Interface - Ability to Customize - Superb support team! Pros: I enjoy the streamlined simplicity of the system. The software is flexible enough to be used in a variety of applications but simple enough to not get in it's own way. Cons: The tag printing set-up is a little less intuitive and requires some formatting to print correctly. Overall: It has been a great tool to track our assets in real time in the field and also maintain a detailed log and history of assets use which can be used to incorporate into our asset repair and maintenance program. Good for a smaller use. Too expensive for enterprise use. Pros: MapYourTag is pretty easy to navigate. The system's functionality is pretty solid. I do like how easy it is to track assets. Cons: MapYourTag is good if you are only trying to track a small amount of assets. At the rate we needed it, it became too expensive. Thank you Nick for your kind review. Pros: The user interface is attractively designed, the mobile app is very flexible. Cons: Customer service sometimes takes a while to respond. Would also like to be able to "go to" a range of tags directly, currently can only move within a range of 50. 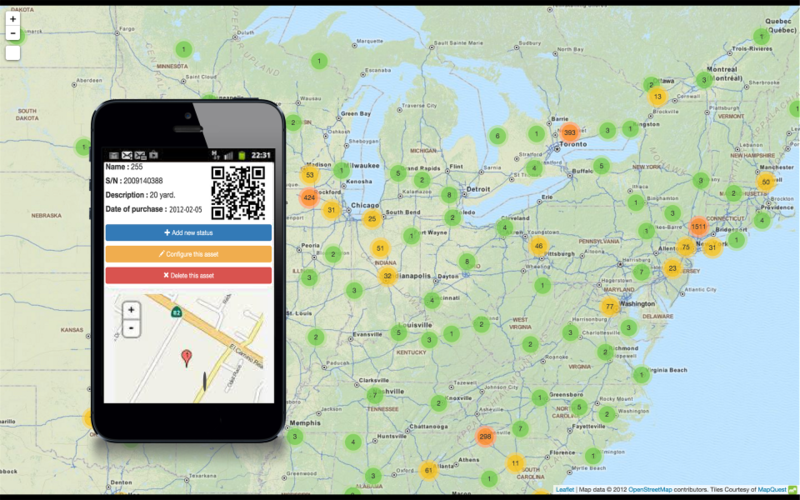 Overall: MapYourTag has great features and flexibility for a relatively low price. My sound company has configured the program to track many pieces of equipment that are shared by a group of users. The range of plans will allow us to grow with this program as we add more users and gear. Definitely recommend! Hi Anne, Thank you for the review. We'll answer as fast as possible upon your next request. We'll release the pages soon with a better pagination to access quicker your tags. Pros: You can track your inventory at any moment. All you need to do is scan it and you will have the location for your inventory. Cons: It is hard to set up at the begging if you are not a computer skilled person. Thank you Samuel for you review for our asset tracking app. Pros: I like to take a picture of the QR code and it automatically gives you location of that item. You can also take a picture of a safety lock to secure the product and that is not tampered with . Cons: Sometimes if you don't have good cell service it is hard for you to get the proper location but map your tag will give you a place so that you can put in manually . Pros: MapYourTag is user-friendly. The app is simple to use for tracking company assets. Cons: The layout could be improved for viewer-friendly. It does not have auto-logout for added security feature. Overall: We use MapYourTag as an equipment and plant register. It serves it's purpose. 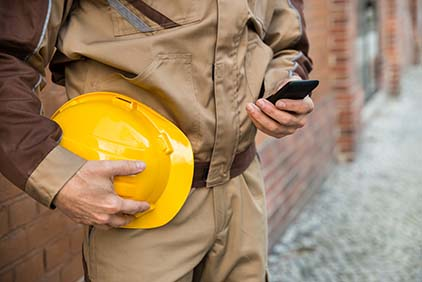 Overall: Nardia Plumbing has been using Map Your Tag to track equipment at various construction sites. We have found the software to be very useful in preventing loss and quickly identify the location. Would be useful to include depreciation calculation in the software. Cons: I honestly can't think of anything. Overall: I use this to track the demo inventory. Sales team can easily check in and out units out in the field with the app on their phone and the scanning. It's easy to look up units and find their status. Works great for the use we use it for! Thank you for your nice review. We appreciate when our effort is rewarded. Overall: They are very helpful to any needs and the product does what I need for my hundreds of assets. We needed to find out how to get a handle on assets. Pros: What I like the most is the ease to use the Iphone app, it makes it very easy to use for anyone who owns a smartphone. just open the app, scan the asset and update the location with one tap. Cons: I wish that there would be an easier way to create reports on the usage and history of my assets. Overall: MapYourTag has solved our IT equipment tracking, we can accurately track our laptops, we know where and who has them at any time. Cons: Reports do not always export the best from the desktop site. Overall: Easy to use, great for getting techs to track their tools, and a reliable report for the Admin team to see where equipment is without calling every tech on the road. We use MapYourTag for equipment tracking and so far it works great! Pros: I like how simple the app is to scan the equipment in and mark it's location. It is also nice to have that record of where everything has been. Cons: This could be on our labeling system, but our equipment is organized by number instead of equipment name which makes looking up items a process of opening multiple windows. Comments: Our company has upwards of 100 instruments across 10 different locations within our City. We have struggled to successfully monitor the location of these instruments and to date this has become a large unnessecary expense for our company with lost and damaged instruments. We are now using a metal tag with a QR code (generated through map your tag) on each individual instrument and Map Your Tag now gives us the ability to track the location and history of each individual item. It has also passed accountability onto our technicians who are in possession of each instrument to take better care whilst in their possession. Map your tag is a cost effective solution to an expensive problem within our organisation. Pros: Flexibility to adapt to your application. Good support with queries. Good desktop and phone app. Will be even better with more development. Cons: Not intuative. Support is good with queries providing personalised video replies. Perhaps would benefit from tutorials on line? Hi Derek, we are happy you appreciate our support. We'll release tutorials on our documentation page in the future. I hope it'll help to set your account more efficiently. Thank you Chris for your review. Pros: Very pretty application and website. Almost every thing is intuitive and logically laid out which makes tracking simple. Cons: Generating QR codes is not that intuitive. Trying to define explicit number ranges is too hard. Would be nice to disable location tracking. Cons: might have to wait a day for response if I send my question too late because we are on a different time schedule but that's not repairable unless there was a 24/7 service. Overall: This app has been very useful for my company and the representatives respond in a timely manner when I have questions. The best quality is that if something is not available, they are able to meet about your issue and if needed can change the software to fit your needs. Awesome team! Overall: This was a badly needed tool for managing demo equipment and our pool. We develop instruments in science technology and maintaining accurate real-time records of our equipment is critical. I really like the app and the ability to log remotely, add notes, reserve equipment, check all of the vital stats either at our desks or on the app. thank you for your comment on our web application and mobile app for asset tracking. Hi, Thank you for the review. We now receive crashes reports that help us to improve the app to make it much more stable over the time. Pros: It's super easy to use. 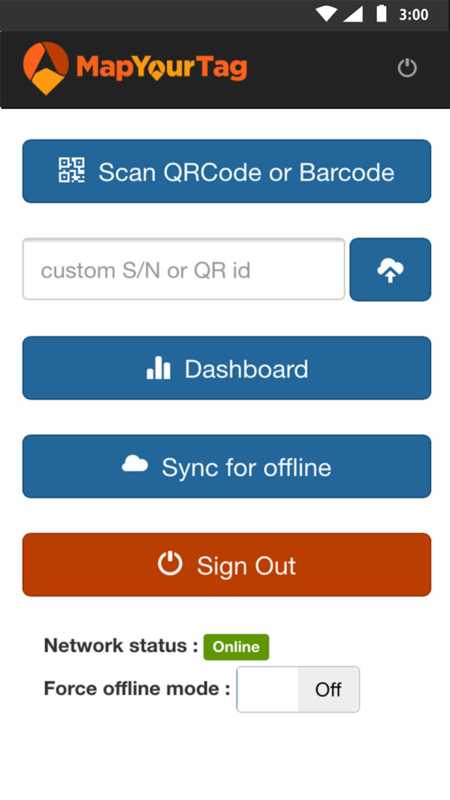 All you have to do is stick a bar code to something and scan it whenever things need tracked. Cons: The cell phone app Can be fairly glitchy. I'm not a big fan of the user interface on it. Just seems clunky. Pros: Ease of use and value for the money. Being able to install it on all of my employee's phones. Easy to explain use. Cons: Nothing really comes to mind except the software won't scan when it is dark outside. you have to have a flashlight to get it to scan in the dark. Overall: Knowledge of where my assets are. Overall: Love all the features this program allows you to do, there are some functions that I wish were a little more user friendly. Only my point of View. Pros: It has captured the 'status' of all our equipment. Cons: It appears to be a very layered system with limited ways to a layer and then only 1 way out to the directory. Overall: I have been inadvertently handed the management of the software and I have found it to be cumbersome and very layered, but serving the purpose. Thank you for your review. I hope the next version will bring to you better support and match more your expectation. Pros: I enjoy the flexibility of the user interface. While some functions may be left out because of the flexible platform a work around is usually available. Cons: My biggest con for the program is the tag (asset QR tag) output function. It is emailed rather than being downloaded direct from the platform. Also I haven't come across an option to arrange and print only selected tags. Overall: Efficient tracking of hard assets. Ability to customize the software. Overall: We use it for employee time tracking. It works and is a great value for the money. Comments: MapYourTag is very easy to use. What I really like is the ability to locate and to keep the history of my equipment (medical bed for home care). So now I have a real tracaebility by using a technology that was too expensive until now for me. 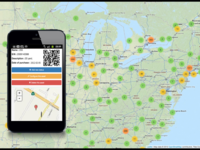 Yes, MapYourTag gives access to a small organization like us to a modern tool at the lowest cost. Cons: I wait for some features like outgoing e-mail alert and filtering option that should come in the next release. -Wide range of attributes to add to each asset for use and upkeep. Cons: -In poor gps signal areas the address automatically loaded is not completely accurate. With this, the address can be manually entered. Pros: Price and easy of use. Cons: Would like to see a way to scan the serial number s of equipment and have it auto populate into the software. Overall: So far so good. This software is very well thought out. We are using it for inventory control at a school and it is very easy for the teachers to understand. We tag the carts and the laptops in the carts. As you know schools are on a tight budget so this solution is awesome when comparing the cost of a WASP barcode solution. Keep up the good work, looking forward to the future on this product. Pros: It is very simple and hence easy to use. The ability to just locate any of the resources any time is just great. It makes work very much easy. Cons: The preliminary con is the installation process for the very beginning. It takes workers some time to get used to it. Apart from this, there are no major cons that I can name of. Cons: It has a lot of features and some times it can be difficult to navigate and search for devices. Also missing field for assigning device to employees (we used the comments field but it was not searchable.